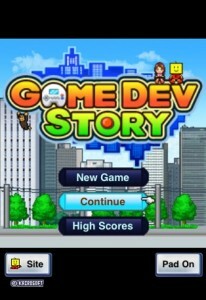 Game Dev Story - A Company At Your Fingertips. Game Dev Story – A Company At Your Fingertips. I have a dream. But that dream was something I had always believed to be just beyond grasp. I mean how could I… a mere video game journalist ever truly hope to achieve his goal of becoming head of a major corporation? Let alone in the rough and tumble industry that is video gaming. ‘Moon Studios’ was always going to be… just a dream. That was until Game Dev Story came along and changed everything. I now own and operate Moon Studios, responsible for such gaming classics as the RPG ‘Pirate Tuesday’ where it’s always Tuesday, even when it’s Friday. The ever popular marathon running simulator ‘Super Glue Shoes’ and of course ‘Robot Hands’ the harrowing adventures of a man with robot hands trying to reorganize his Faberge’ Egg collection… will he be gentle enough? 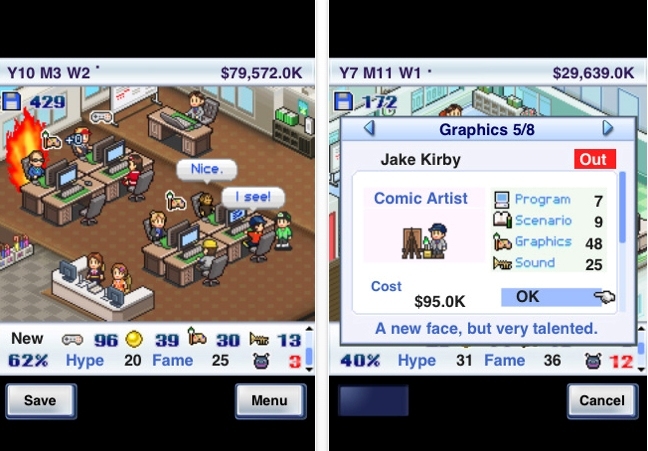 Game Dev Story is a fabulous and insanely addictive sim management game putting you in the top job at your very own video game development company. 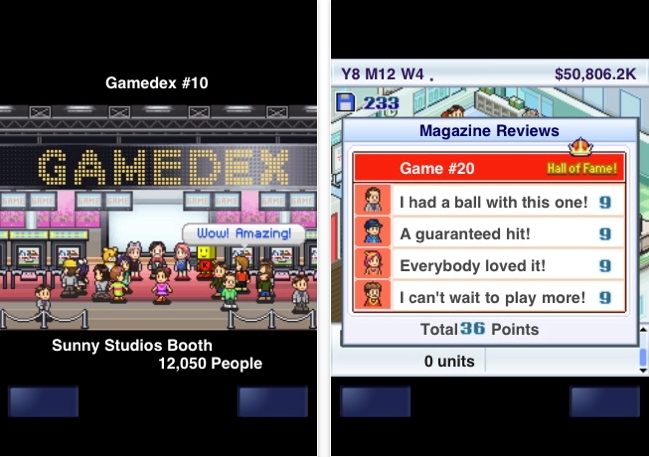 The game itself is not overwhelmingly difficult, but manages to incorporate several different elements that combine perfectly in such a way that the gameplay is totally compelling. You assume the role of president for fledgling game development/design company and it is your job to direct your pixilated team of writers, artists, designers and coders in an effort to create the most successful video game possible. But casino online it goes beyond that, your company’s brand has to grow & increase its fan base, so you’ll need to start thinking about things like advertising campaigns for your latest release or just to promote the company itself to gamers around the globe. Throughout a 20 year period, you’ll be expected to release games, attend award ceremonies, set up a stall at game conferences & negotiate licensing fees with the latest gaming companies so you are able to release your latest smash hit on their consoles. As your team works on their latest creation, or is slaving away earning your company the big bucks on contracts outsourced, they gain research points which you can then use to train your staff, or upgrade their skill sets to maximize their contributions. Eventually, your company will start to expand, giving you the casino online opportunity to move into larger offices, launch your very own console and start firing or hiring staff. But be cautious, the more experienced the worker the higher their salary. Over time, more and more consoles hit the market place, this is especially great as they parody all the game consoles of the last twenty years, giving you a short rundown on what they are capable of and a funny little projection of how they’ll do… mirroring how the actual consoles did in real life. While the visuals may leave some gamers thinking ‘Why the hell is everything made from these tiny little squares?’ For the majority of people, the 16-bit style graphics will add a certain charm that, if you’ve been into games for any length of time, you”ll be sure to appreciate. The Final Level: Game Dev Story is the most fun I’ve had on my iPhone period. What started out as just a little look see, turned into four straight hours of gaming. Not only that, like iPhone coke, the addiction has spread to everyone I’ve passed this game on to. So put on your sharpest power suit, grab the strongest coffee money can buy and settle down for a night in the office… it’s gonna be a long night.